Tree Pruning: What Not To Do | Mr. Tree, Inc.
Having a tree is a beautiful thing. But the upkeep of it is not always easy. Pruning? What does that even mean, how do you do it, and especially, what should you not be doing? Well, that’s where we step in. At Mr. Tree, we are not only able to come over and help you with your tree pruning, but we want to take things one step further, just for you. We want to provide you with a simple, easy guide of the things you should not be doing when it comes to pruning your tree. As your residential tree service, it is our job to guide you in proper tree care, pruning included. 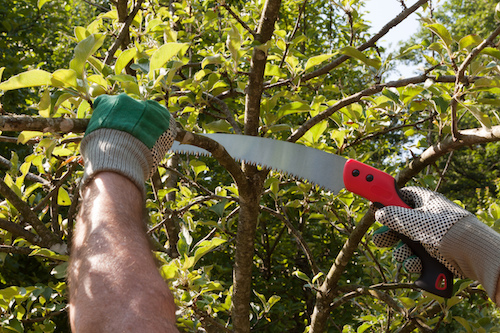 Before we get in to some tips, let’s quickly look at what pruning means. Pruning is the act of cutting off branches or stems that are overgrown, that may be dead, or that may be on the verge of dying. By doing this, you are not only helping the tree but also allowing the healthy branches or stems the room and vitality to grow larger and fuller. Yes, this means that tree pruning is essential if you want to have growing, healthy trees. But, what should you not be doing when it comes to tree pruning? This may seem like common sense, but it must be said. If the branch is healthy and is also a healthy length, do not cut it off. You only want to cut off branches that are dying, the ones that are already dead, or ones that have overgrown. Additionally, do not prune excessively. There is no reason to prune your tree every day, every month, or even every year. We wish that we had a proper answer for you as to how often you should trim your tree, but it all depends. For instance, some trees will need to be pruned every other year, whereas others can go as many as seven years or more without needing to be pruned. However, luckily for you, we here at your residential tree service are happy to stop by, take a look at your tree, and help you determine if it’s time to prune. You may see a dead branch and think to yourself, “It will just be easier if I cut this down to the bark to remove this.” Do not do that. Tree bark is essential to the vitality of the tree. The tree bark is what protects the inner part of the tree. It is the part of the tree that is responsible for bringing the food that has been produced by the leaves to the rest of the tree. Without the tree bark, the rest of the tree will go hungry. Instead of making your tree healthier, you are in fact killing it if you tear off the bark. Additionally, tearing off the bark of a tree usually damages the branch collar. Think of the branch collar as your skin—when we get a cut, our skin grows and closes the wound. If the branch collar is destroyed, then the tree is unable to close any wounds it receives, causing it to decay. Having a clean cut during tree pruning is more important than you may think. To ensure this, make sure that any tools you are using are sharp enough to make cuts that do not result in any jagged edges or even stubs. What’s wrong with having jagged wounds on your tree? Well, they do not close well. As we explored above, when wounds to a tree are not closed, this results in decay, which in turn can result in more broken limbs or even tree death. Additionally, jagged wounds also do not allow the tree to successfully transport nutrients to different parts of the tree. This has a negative effect on the overall health of the tree. If you cut your tree beyond the branch collar, a branch stub will occur. This is something that you do not want. This stub is then easily exposed to wood-decaying organism, which is obviously not healthy for your tree. If decay were to begin in the stub of a tree, it can then break through many of the branch protection zones, further moving into the trunk of the tree. As we all know, the trunk is the base of the tree, and one of the last things that we want to decay. However, if decay does then reach the trunk of the tree, it can lead to trunk rot, which typically tends to lead to failure and death of the tree. You do not want to leave a large, exposed hole in your tree. You especially do not want to leave this opening exposed to the air. If you can see a large area of heartwood, you have cut too large. This is actually a wound that when exposed can also increase the tree’s chances of decaying or even disease. Over-pruning a tree can have drastic effects. Instead of helping your tree become more healthy, it can, unfortunately, be easy to mistakenly cut too much where you are then leaving it exposed to decay. It is not always an easy balance to find, but we promise that it is possible. The most important takeaway from all of this is that if you are intimidated by the above or if you do not feel comfortable pruning your own tree, that is okay. You do not have to; instead, leave it to the experts to handle. We here at your residential tree service would be happy to stop by and take a look at your tree, whether to help guide you in your own pruning or to give you an estimate as to how much it would cost for us to handle, leaving you worry-free.